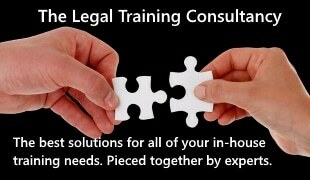 The Court of Appeal has criticised law firms which attract clients through adverts which suggest their previous solicitors may have undersettled personal injury claims. He also said there should be “a sensible limit” on what should be expected of a solicitor operating on a fixed fee in a “high volume, low cost commoditised scheme”. 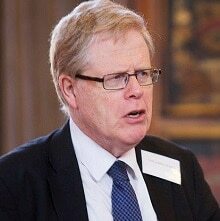 Jackson LJ was ruling in Thomas v Hugh James Ford Simey Solicitors  EWCA Civ 1303, in which Graham Thomas sought to sue the well-known Welsh law firm for not pursuing special damages in his claim under the Department of Trade & Industry (DTI) compensation scheme for miners who suffered from vibration white finger (VWF). He said it was “regrettable” that a second firm of solicitors “recruited the claimant to bring an action against the first solicitors in order to ‘top up’ his award”, noting the first-instance ruling that the information given to the claimant by the second firm “turned his head” so that he was “prepared to advance incorrect assertions” in his claim. In 2001, Mr Thomas was awarded £10,500 in general damages, but decided not to make a services claim, which would compensate for everyday tasks he could no longer carry out himself as a result of the injury, such as gardening, DIY and window cleaning. The firm was paid £607 in costs under the scheme. Jackson LJ recounted: “There matters rested for the next seven years. 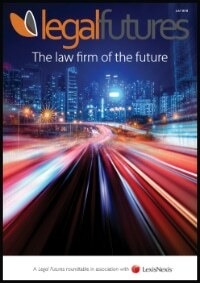 In 2008 another firm of solicitors, Mellor Hargreaves, came on the scene. They were advertising for new business. The claim was dismissed by Mr Recorder Cameron in Leeds. The arguments on appeal were that Hugh James should have provided an approximate valuation of the claim for services and told the claimant of the availability of an interim payment if he pursued a services claim. Further, Mr Thomas said that the conducting solicitor should not have treated his comments about the difficulty of obtaining evidence on ‘cash in hand’ payments he made for decoration work as putting an end to the services claim. His counsel argued that the solicitor “should have probed matters in the hope of changing the claimant’s mind”. Jackson LJ rejected the arguments. “The client was, as the judge found, an intelligent and articulate man. He knew his own mind. He decided not to pursue a claim for special damages and he so instructed his solicitors. “In my view, if a client instructs his solicitor that he does not wish to pursue a particular head of claim and that he does not have evidence to support it, the solicitor is not necessarily under a duty to challenge that decision or to try to change the client’s mind. Jackson LJ said it was significant that this was a modest claim being run under a fixed-costs regime, expressing admiration for the amount of work Hugh James had put in given the small amount of costs it received at the end. “Neither advocates nor judges should lose touch with reality. The [VWF scheme] is a scheme for dealing with high volume, low value personal injury cases for fixed costs. There must be a sensible limit upon what we can expect solicitors to do in such cases. Jackson LJ said: “This court has, therefore, already recognised the need to adopt a realistic standard when assessing the performance of solicitors conducting litigation under a high volume, low cost commoditised scheme. Jackson LJ expressed “some regret” that the claim was ever brought, saying the medical evidence before the recorder suggested that Mr Thomas “probably did not and does not have VWF”. His damages payment was a “windfall” that was acceptable to the DTI on a ‘swings and roundabouts’ basis, the judge said. Mellor Hargreaves went into administration on 7 July 2017 and was broken up and sold to four firms: Michael W Halsall Solicitors, Clear Law, Simpson Sisson & Brooke and Mellor Hargreaves Limited. Fifteen staff lost their jobs.